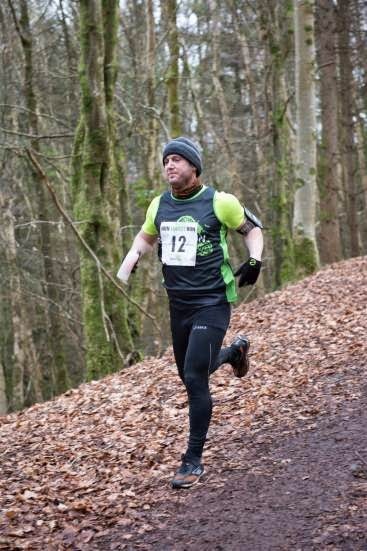 This weekend the Born 2 Run - Run Forest Run series ventured south of the Irish border and took place in Rossmore Forest Park, Monaghan. This was quite a distance from my house, so the fact that it started an hour later than the previous races was very much appreciated. Technically, today I was going to become an international trail running competitor. While this is true technically, it really just meant that I spent over an hour driving, and crossed a border somewhere without even noticing. Maybe it was because of this long drive, that I decided that eating a cooked breakfast before leaving the house might be a good idea. I nearly saw this again during the race.. It turned out that this was not a good idea at all. It tasted great, filled me up and I'm sure there was enough calories to keep me running for at least six miles. However, it very nearly came back up again, somewhere around mile 5. Swapping cigarettes for chocolate seems to have it's downside.. I'm getting big again. 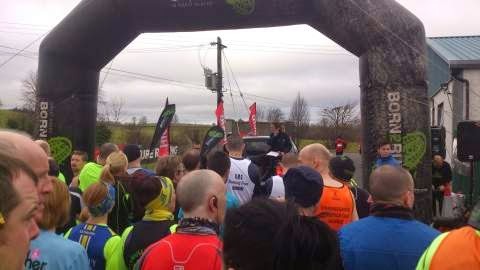 The race registration took place in the grounds of Monaghan Football Club, which meant that there was good parking, clean toilets and a club house to get ready in. As this was the penultimate race in the Run Forest Run series, I bought myself one of the Born 2 Run vest tops on sale. I think it's now my favourite running top. On my last race at Gosford Forest Park, I'd been a bit disappointed with my final place, just finishing outside the top 100. A lot of things had gone well for me on that race, but I always want to be improving. Gosford had been a busy race with nearly 500 runners taking part, while there was just under 300 starting this morning. I really wanted to get into the top 100 finishers today. I wasn't sure what the course would be like, but I also wanted to beat my personal best of 47 minutes 39 seconds. 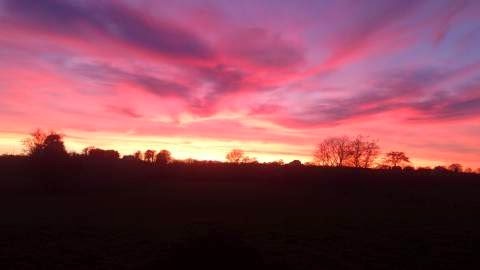 I had been working on my speed runs recently after writing my What Pace Do I Need To Run A Sub 1.25 Half Marathon post. 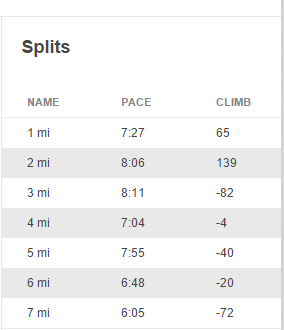 I need to be getting my 10K times down to about 40 minutes, so today I wanted to get a bit closer to that. Closer to the front this week, I could actually see the fast people start.. I started near the front of the crowd this time, as I think that I'd been starting too far back previously. I think this was just about perfect today, with it only taking a few minutes to be running at the same pace as everyone around me. I'll be starting somewhere similar to this for my next race as it seemed to help me get into a nice rhythm right from the start. The first section of the run took us from the football club along the road to the entrance of the park. It only took a few minutes, and we had one side of the road closed to make sure we didn't get killed by any passing cars or traffic. As far as I know, none of us did. Once in the forest park we started winding through the muddy, leafy paths. I'd never been here before, but the route was beautiful. We ran through trees, under trees, around a lake (or lakes?) and up two hills, that my girlfriend described as "diabolical". I would have to agree with her on that. It would seem quite a few of the other runners would too, as quite a few chose to walk up them. They were tough going. I didn't run the first hill as my legs seemed to be suffering from my long run on Thursday. I will know for the next time, not to go for a long run two days before a race. 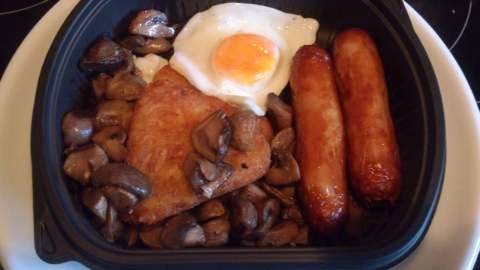 Along with eating my fried breakfast, that was two stupid mistakes I'd made for today. My new vest top, nearly on display..
Running down the hills was awesome though. There were marshals at the bottom of a few of the hills, making sure we didn't slip and that we were staying on course. The first hill we climbed had taken it out of me, and I'd ran the first couple of miles slower than I'd been hoping. It was around mile 3 that I decided to have a little word with myself. Nothing makes a race more enjoyable than a good stern talking to, by yourself. Maybe these long runs are making me a bit crazy.. I knew that I would really have to pick up the pace to beat my personal best, and so for the final three miles I did just that. The Treadmill Race Pace Training last week seemed to have helped a lot, and I was happy that my final mile was done in 6.48 minutes. I finished in 51st place, with a time of 46 min 50 seconds. Still not as fast as I want to be, but it's improving and I have to be happy with that. For some reason, I felt nervous before starting the race. I have no idea why, maybe it was the fact that I knew the breakfast could present itself again during the race. But I ended up loving this course. I think it was tougher than Gosford, but I enjoyed it a lot more. The frozen lake, running through rhododendron trees, the two tough hills meaning that there was downhills to come.. all made for a great race. 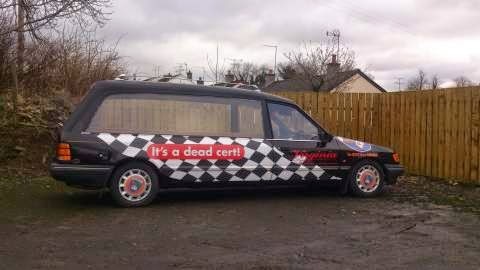 And on the way home we saw this hearse, which I had to take a picture of..
Stuff you shouldn't really laugh at, but do.. The next, and final race of the series is in Castlewellan Forest Park, which is where I do most of mu trail running with our dog Sheldon. I'll be bringing him up for a few walks and runs in the next couple of weeks as preparation. It will probably be a very tough course, so I'm not expecting to beat this weekend's time. However, it feels like my backyard now, so I need to make sure I give it my all. I want to be able to say I ran my best 10K race around the place I train in. 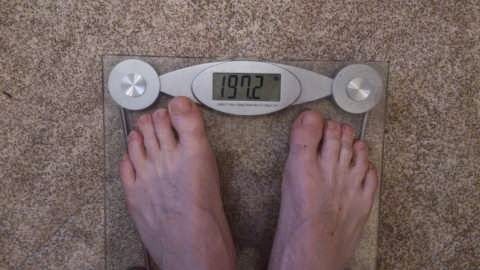 Getting rid of this weight would be a big help, but as I've stopped smoking this week, I'm not going to be too hard on myself. Well, not this week anyway..